At Rimrock Outdoor Adventures, our goal is to provide the highest quality hunting experience by recognizing the needs of our clients, and focusing on safety, excitement, and professionalism. 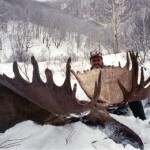 Guided Hunting and Fishing trips in Southwest Oregon. Elk,Deer,Bear,Waterfowl and Turkey. Fishing for Salmon,Steelhead,Smallmouth and Sturgeon. Over 15yrs experience. 2200 acres with lots of cover. rifle or bow. Buffalo hunts - you pick your bull. All bull hunts guaranteed. Predator and varmint hunting available. All natural grass fed buffalo meat for sale. Oregon's Premier Waterfowl Outfitter. World class waterfowl hunting close to Portland. Eastern Oregon waterfowl and fly fishing outfitter. If you are a Oregon Hunting Guides and would like your service listed here, use our Submission Form. It's Free!